This dynamic four-week church campaign uses the story of Honi the circle maker, who prayer-walked his way around a devastating drought in first-century BC Israel until the rains came, to help you and your entire church begin to identify the dreams and future miracles to draw circles around to find your answers from God. 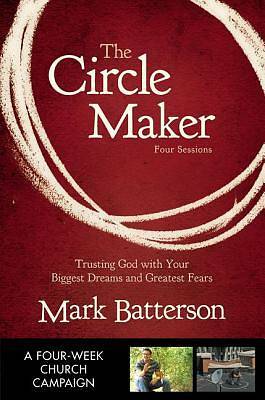 Four video sessions expand on the teaching from Mark Batterson's book of the same name and combine a teaching element with a creative element to draw you into the circle. The participant's guide provides teaching notes, discussion questions, Bible study, and between-session activities. Each session wraps up with a practical application called 'Draw the Circle, ' giving you the opportunity to put your prayer principles you have learned into practice. This curriculum kit includes: * one hardcover book* one participant's guide* one DVD-ROM containing four small-group video sessions, a getting started guide, four sermon outlines, and all the church promotional materials needed to successfully launch and sustain a four-week church experience. * one 'Getting Started' guideThe curriculum can be used in a variety of ways -- as a whole church campaign (adult congregation), adult Sunday school, small-group study, or individual use.